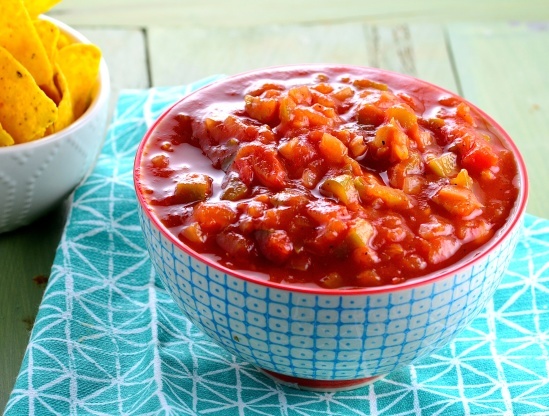 This is the best salsa recipe I've found so far, not too hot, but full of flavor. I have also cut the recipe in half, then half again (I found this is the easiest way for me) to make about a pint, and pulsed in my food processor to make a chunky salsa without canning it. Yields 3 quarts or 6 pints.